In the 12th Century, in the north of Italy, there were strong cities, ruled by themselves with their own territories and army and each one with own characteristics. They were called COMUNI. The relationship among them was a more or less a pacific coexistence but the cultural, military and Economic competition was always very high. In the 12th Century, in the north of Italy, there were strong cities, ruled by themselves with their own territories and army and each one with own characteristics. 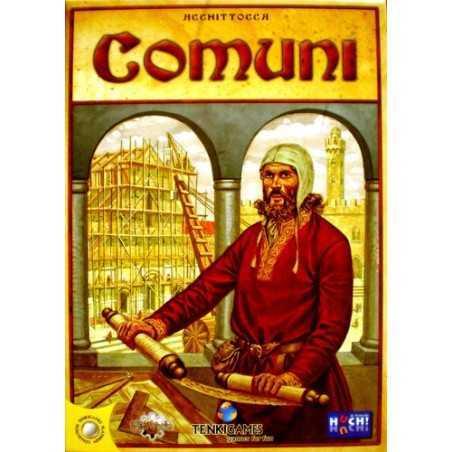 They were called COMUNI. The relationship among them was a more or less a pacific coexistence but the cultural, military and Economic competition was always very high. 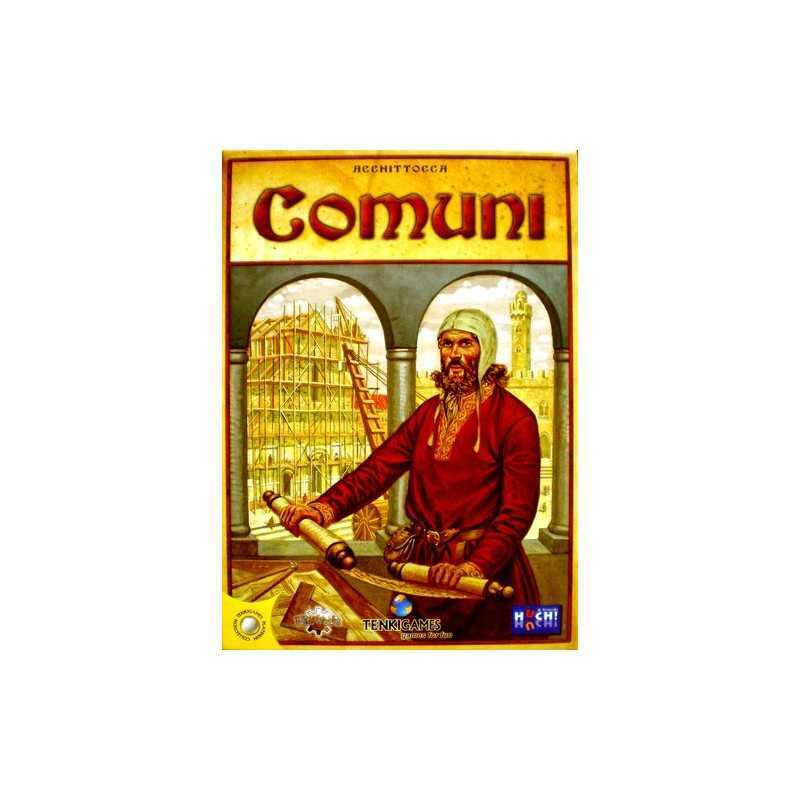 In this game each player rules a particular COMUNE and has to increase the wealth of the city. To do this he must build structures that are the core of the Economic, Military, Cultural and Religious life. At the same time all the player must be aware of the invasion that can come from outside and if necessary must be able to collaborate to defeat them. 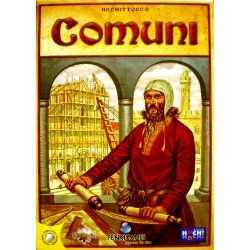 Comuni is a game of strategy, more suitable for the experienced players. The core of the game is trying to acquire "projects of buildings" (cards) that can be automatically transformed in buildings and protection walls (and subsequent upgrades). The acquisition of the projects is made through a bidding system. The buildings can be of four types (Economic, Military Cultural and Religious) that give different resources. The resources give different advantages during the game in the bidding phase, when you transform projects into buildings etc.... The projects cards are divided in four different decks, at the end of each of them, an invasion comes, each time stronger. The invasion hits all players and during the invasion each player must defend his city. The players also can (and have an incentive) to collaborate to fight the aggression together. At the end of the four invasions the game ends. The key element of this game is the ability to plan a successful strategy predicting what will be the situation several turns in advance. Game is balanced, with no luck and no dice.